Occasionally there's an opportunity to make a fashion statement... I found just the perfect sweater for such occasions and it speaks volumes. Who doesn't love a positive message? I know I do, regardless of where I find it... 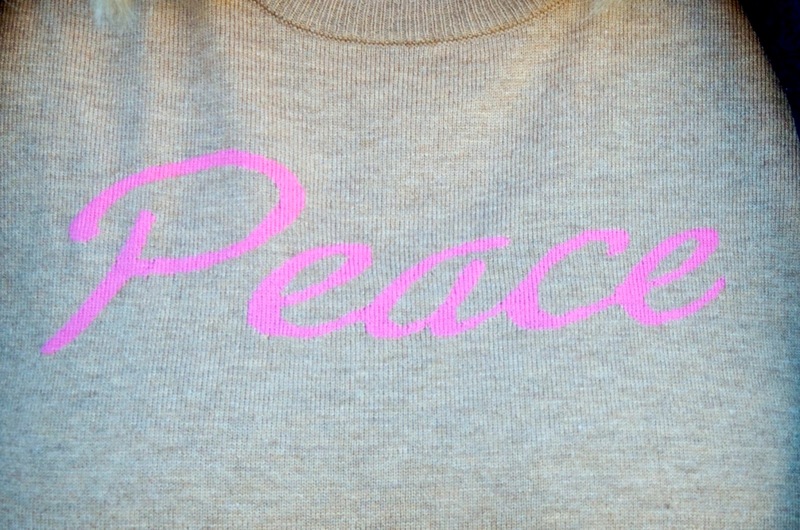 I am currently more than a little obsessed with this adorable sweater from Gap and its message is one of peace. Camel with bright pink writing, this is my new favorite sweater and it's super soft & comfy too! 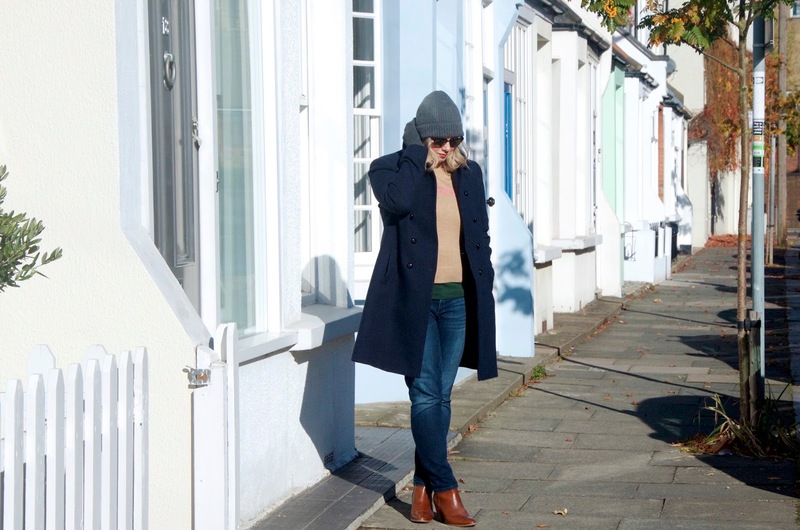 What fabulous pieces of knitwear have you picked up this season?